The team put graphite powder and a solvent fluid in a laboratory mixer and set it spinning. Analysis with an electron microscope confirmed that they had produced graphene at a rate of about 5 grams per hour. To find out how well the process could scale, they tried out different types of motors and solvents. They discovered that a kitchen blender and Fairy Liquid, a UK brand of dishwashing liquid, would also do the job. “If you are using a blender, why use a fancy expensive surfactant? Why not use the simplest surfactant there is, and I guess that is Fairy Liquid,” says Coleman. Still, Coleman says you may not want to try this at home. The exact amount of dishwashing liquid required depends on the properties of the graphite powder, such as the size distribution of the grains and whether any materials other than carbon are contaminating the sample. These can only be determined using advanced lab equipment. 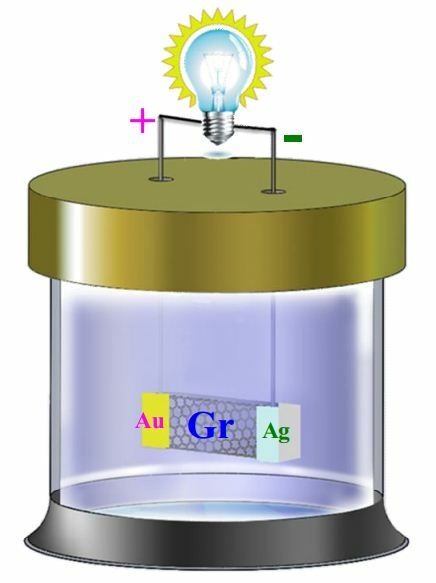 The method also doesn’t convert all the graphite to graphene, so the two materials have to be separated afterwards. “It is a fun experiment, but it wouldn’t get you very far,” says Colman. “You could make black liquid full of graphene, but what’s the next step?” Instead, the team’s calculations suggest the technique is scalable to industrial levels – a 10,000 litre vat with the right motor could produce 100 grams per hour. Thomas Swan has already started work on a pilot system. Coleman is excited about the scientific potential of cheap, abundant graphene. For example, a previous lab experiment showed that adding a dash of graphene to a type of polyester boosted its strength by 50 per cent, since graphene is one of the strongest known materials. The new production method would yield enough graphene to scale this up for industrial processes, which normally involve kilograms of raw material. Andrea Ferrari at the University of Cambridge says the ability to produce large quantities of high-quality graphene is useful, but not essential for all applications. Graphene with defects binds more easily to other molecules, making it suitable for developing batteries or composite materials. Still, the simplicity of the method echoes the original isolation of graphene by Andre Geim and Konstantin Novoselov at the University of Manchester. They used sticky tape and a pencil, a method that won them a Nobel Prize in 2010. Redefining the ampere with the help of graphene? The world’s first single-electron graphene pump has been built by researchers at the UK National Physical Laboratory and the Cavendish Laboratory in Cambridge. The device could be used to redefine the standard unit of current, the ampere, in terms of the electron charge – a fundamental constant of nature. The international system of units (SI) is made up of seven base units, which are the metre, kilogram, second, kelvin, ampere, mole and candela. The ampere, volt and ohm are the three fundamental units of electricity. Although physicists have already come up with modern ways to represent the volt and ohm (through measurements of the Josephson voltage and quantum Hall resistance, respectively), there is no equivalent for the ampere. Indeed, today, the ampere is defined as the current which, when flowing through two parallel conductors one metre apart, exerts a certain force between the conductors. Directly realizing such a macroscopic definition of current is experimentally difficult, and the accuracy of the result also depends on other base units, such as the kilogram, which drifts with time. Ideally, a new definition of the ampere would be based on an extremely accurate source of electric current, capable of delivering one electron at a time. A single-electron pump (SEP) could be ideal in this respect because it produces a flow of individual electrons by shuttling them into a quantum dot and emitting them precisely one at a time. A good SEP also pumps the electrons quickly, so a sufficiently large current is generated. Until recently, two types of SEP were promising contenders: tunable barrier pumps made from semiconductors, which are fast, and so-called hybrid turnstiles made from superconductors, which can be mounted in parallel to make the output current larger. Although the most accurate, a third type of pump usually made from metallic islands is too slow for making a practical current standard, but the UK researchers have now improved its performance by making it from graphene, which is a semi-metal. 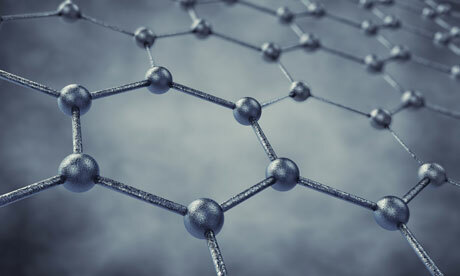 Graphene is a sheet of carbon just one atom thick that has a honeycomb lattice structure…. Graphene is a perfect 2D crystal of covalently bonded carbon atoms and forms the basis of all graphitic structures[1,2]. The material was well known as a concept structure (platform) to mathematicians and modellers for many years and to the material physicists and scientists as an individual layer of crystalline graphite. However, its isolation and characterisation by Geim and Novoselov in 2005 has given rise to a dramatic surge in research and potential applications for this material. Graphene is the best conductor of heat we know, the thinnest material, it conducts electricity much better than silicon, is 100-300 times stronger than steel, has unique optical properties, it is impermeable already as a monolayer, just to mention a few of its characteristics. Either separately or in combinations, these extreme properties can be exploited in many areas of research; new possibilities are being recognised all the time as the science of graphene and other two-dimensional materials progresses. Secondly, graphene science and technology relies on carbon one of the most abundant materials on Earth. It is an inherently sustainable and economical technology. Thirdly, graphene is a planar material and as such compatible with the established production technologies in information and communication technologies. Regarding mechanical properties which are being examined by our group, graphene is considered one of the stiffest and strongest material in nature combined with high inherent ductility. In spite of that, very little experimental verification has been provided for its extraordinary mechanical properties. Strain on the other hand has been shown to modulate graphene’s electronic, magnetic and transport properties. Hence is of outmost importance to understand how the thinnest membrane ever existed in nature can respond to mechanical load. In general it is expected and already verified experimentally by us and others, that a thin film can withstand relatively large tensile strains in air without early fracture, whereas in compression monolayer graphene is expected to buckle at extremely low strains. Direct evidence of buckling by means of AFM measurements has already been shown. Yet axial tensile fracture at the expected strains of over 30% has never been seen or attained. In fact, the only indication of the high tensile strength and ductility of graphene stems from a number of modelling simulations in which the flake geometry has been largely ignored. Furthermore, for typical rectangular graphene flakes it is self-evident that when the flake is stretched axially in one direction, Poisson’s contraction in the other direction will immediately induce (lateral) buckling. This very interesting phenomenon which should be prevalent for any future 2D materials, has not as yet been fully studied, predicted or, even, exploited. Furthermore, our results show that graphenes embedded in plastic beams exhibit remarkable compression bucking strain compared to that of the suspended ones, due to the effect of the lateral support provided by the polymer matrix, which is indeed dramatic and increases the effective flexural rigidity of graphene by 6 orders of magnitude. The experimental finding that one atom thick monolayers embedded in polymers can provide reinforcement in compression to high values of strain is very significant for the development of nanocomposites for structural applications. Interface interactions that lead to tensile and/or compression stress transfer from a polymer matrix to a graphene flake is also of extreme interest particularly for composite applications. Finally, recent attempts to take off graphene research in Greece will be covered. The creation of the FORTH Graphene Centre will be discussed and the possibilities of collaborative work with other institutions and groups will be explored. 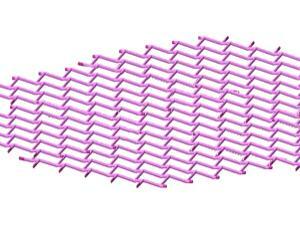 AFTER only a few years basking in the limelight, wonder material graphene has a competitor in the shape of silicene. For the first time, silicon has been turned into a sheet just one atom thick. Silicene is thought to have similar electronic properties to graphene but ought to be more compatible with silicon-based electronic devices. Patrick Vogt of Berlin’s Technical University in Germany, and colleagues at Aix-Marseille University in France created silicene by condensing silicon vapour onto a silver plate to form a single layer of atoms. They then measured the optical, chemical and electronic properties of the layer, showing it closely matched those predicted by theory (Physical Review Letters, DOI: 10.1103/PhysRevLett.108.155501). Silicene may turn out to be a better bet than graphene for smaller and cheaper electronic devices because it can be integrated more easily into silicon chip production lines. He says an important challenge now will be to grow silicene on insulating substrates to learn more about its electrical properties and understand how they can be exploited to build future electronic devices. Here’s an interesting idea for a battery. The thermal velocity of ions in aqueous solution is huge–hundreds of metres per second at room temperature. And yet few people have studied this process or its potential to generate current. Step forward Zihan Xu at The Hong Kong Polytechnic University and a few buddies who have not only studied this process but seemingly mastered it too. Here’s what’s going on, according to Zihan and co. The copper ions, which have a double positive charge, move through the solution at a rate of about 300 metres per second thanks to the thermal energy of the solution at room temperature. When an ion smashes into the graphene strip, the collision generates enough energy to kick a delocalised electron out of the graphene. The electron then has two options: it can either leave the graphene strip and combine with the copper ion or it can travel through the graphene strip and into the circuit. It turns out that the mobility of electrons is much higher in graphene than it is through the solution, so the electron naturally chooses the route through the circuit. It is this that lights up the LED. 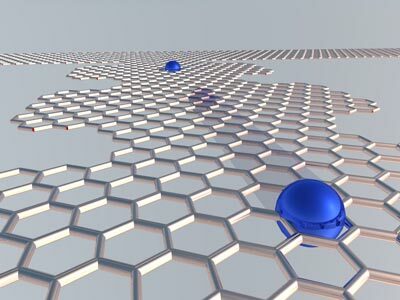 “The released electrons prefer to travel across the graphene surface…instead of going into the electrolyte solution. That is how the voltage was produced by our device,” say Zihan and co. So the energy generated by this device comes from ambient heat. These guys say there were able to increase the current by heating the solution and also by accelerating the copper ions with ultrasound. They even claim to have kept their graphene battery running for 20 days on nothing but ambient heat. But there’s an important question mark. One alternative hypothesis is that some kind of chemical reaction is generating the current, just as in an ordinary battery. However, Zihan and co say they ruled this out with a couple of control experiments. However, these are described in some supplementary material that they do not appear to have put on the arXiv. They’ll need to make this available before others will take the claim seriously, of course. Taken at face value, however, this looks to be a hugely important result. 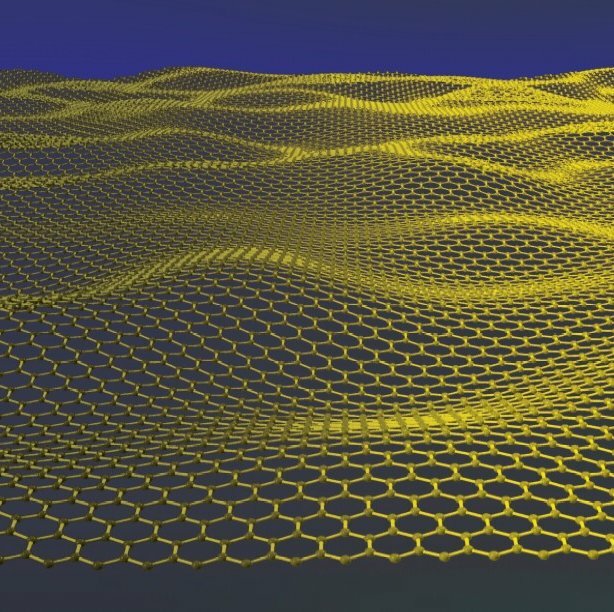 Others have generated current in graphene simply by passing moving water over it, so it’s not really a surprise that moving ions can do the job as well. It raises the prospect of clean, green batteries powered by nothing but ambient heat. As Zihan and co modestly put it: “it represents a huge breakthrough for the research of self-powered technology”. Let’s hope they’re right. But for the moment at least, the jury must remain undecided. Could graphene be the new silicon? It started with a few experiments with Scotch tape and a pencil. Then graphene, stronger than steel, one atom thick and a super-conductor, was born, a wonder material that could be as revolutionary as silicon, say its Nobel prize-winning creators. Now with £50m from the UK government, they’re out to prove it. Somehow it seems appropriate that the government might be basing some of its hopes for the economy’s recovery on a substance that is one atom thick. The substance in question – graphene – 200 times as strong as steel, seems to some designed to carry the weight of almost anything – but George Osborne’s Plan A? That would indeed make it a miracle material. Nevertheless the chancellor made a detour from the Tory conference in Blackpool in September to visit Manchester University, graphene’s spiritual home, and to announce a £50m investment. Graphene is claimed by some as an innovation that will prove as revolutionary as the silicon chip, or even plastics, both of which it may supersede. A poster campaign around Manchester currently reminds you that the industrial revolution was born in the city at the beginning of the 19th century. Two hundred years on the challenge is to keep the “graphene revolution” in the north west, too. Sitting in his lab at the university, Konstantin Novoselov one half of the 2010 physics Nobel prize-winning team that “discovered” graphene, runs through the superlatives of his material – uniquely strong and flexible and the best conductor of electricity yet found – with a kind of amused pride before explaining its genesis. Graphene wasn’t so much of a eureka moment as a eureka year or two, but since it was first identified the exclamation marks have kept coming. What they began with, however, was some pencil lead and a roll of Scotch tape. At the time, Andre Geim was probably best known for his “frog levitation” experiment. This showed that if you placed small amphibians between two large electromagnets they would defy gravity and swim in the air. The experiment won him an Ig-Nobel prize (awarded for the most enjoyably pointless research of the year; Geim remains the only recipient both of an Ig-Nobel and the real thing). It was in the same spirit……………. Conductive wrapping can improve the performance of supercapacitors. A new and simple “dipping” technique that can significantly improve the performance of supercapacitors has been developed by researchers at Stanford University in the US. The method, dubbed “conductive wrapping”, could be applied to a range of electrode materials. It might even be used to improve next-generation electrodes made from sulphur, lithium manganese phosphate and silicon for use in lithium-ion batteries. Supercapacitors – more accurately known as electric double-layer or electrochemical capacitors – can store much more charge than a conventional capacitor. This is thanks to a double layer that forms at the electrolyte–electrode interface of such devices when a voltage is applied. 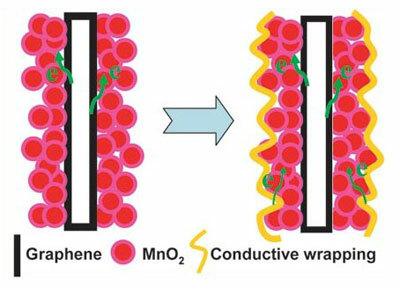 The conductive-wrapping technique can further increase the capacitance of a supercapacitor by boosting the conductivity of the electrodes – which enhances the device’s ability to store charge. Developed by Zhenan Bao, Yi Cui and colleagues, the process involves dipping a composite electrode made of graphene and manganese oxide into a solution containing either carbon nanotubes (CNTs) or a conductive polymer. The CNTs or polymer coat the electrode and boost its ability to store charge by more than 20% for the CNT coating and 45% for the polymer. The specific capacitance obtained by the researchers (about 380 F/g) is comparable to other manganese-oxide-based electrodes, which typically have specific capacitances of between 250–400 F/g. However, the hybrid electrodes also show good “rate capability” – which means that they maintain their high capacitance at high charging and discharging rates. This is in contrast to conventional metal-oxide-based electrodes, which usually have poor rate capability because they have low electronic and ionic conductivity. As a result, the new electrodes can also be used for more than 3000 charge–discharge cycles while retaining more than 95% of their capacitance. When combined with the fact that the electrodes have a much higher specific capacitance than existing commercial carbon-based supercapacitors (150–250 F/g), the conductive-wrapping technique looks promising. The researchers are now busy working on improving the performance of the electrodes in lithium-ion batteries using the method. “Our novel approach could be applied to a wide range of energy-storage electrode materials that have high energy density but that show limited performance because of their insulating nature,” says Yu. The results are reported in Nano Letters.